Click on the map (may only work for some browsers, like Chrome) and then click on one of the circles representing the area you are interested in. 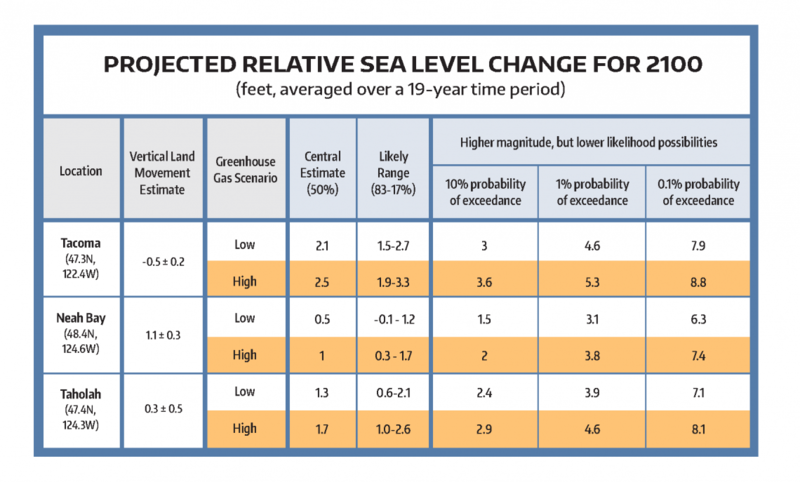 A Google docs spreadsheet should open up providing probabilities of sea level rise decade by decade for that selected area. Note the spreadsheet has 3 tabs on the bottom. “The new report provides probabilistic estimates for 171 coastal sites each decade from now until 2150. 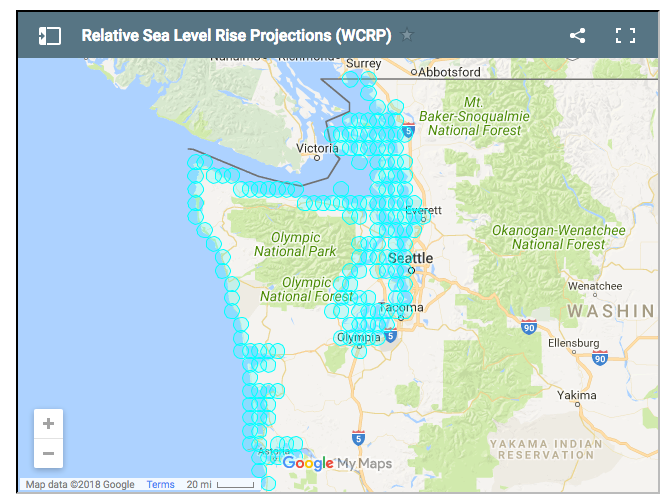 The analysis follows two previous assessments of sea-level rise in the state: the 2012 national report for sea-level rise in Washington, Oregon and California, and a 2008 report led by the UW Climate Impacts Group. In addition to updating the science, the new report offers more detail on what to expect at specific locations. “The study follows a 2015 UW report on how climate change will affect Puget Sound. This new study provides much greater detail about sea-level rise, both in Puget Sound and along the coast.